Tierra Viva Larco in Miraflores. 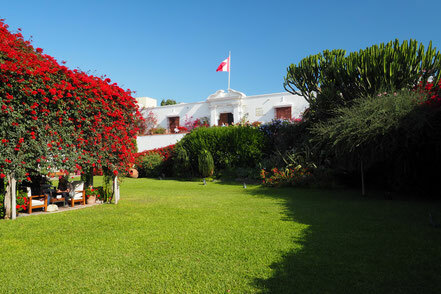 One of the Peruvian Tierra Viva hotels with a good location in Miraflores area. The Larcomar can be reached on foot and a nice breakfast is served on the upper floor with terrace. You can book it here. Punto Azul. Small restaurant chain serving a good mix of Peruvian and Fusion dishes. They also have a restaurant in Miraflores. There are many restaurants in the shopping complex Larcomar. At Popular you can enjoy dinner with view to the ocean. The above mentioned Larcomar shopping complex is a site for itself as it is specially located on the cliffs of the ocean. They also have a Perurail counter which can be handy. 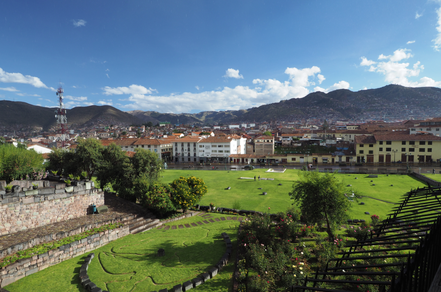 Take a look at the main Plaza Mayor with the cathedral and representative yellow buildings surrounding it. Hotel Bolivar has a nice glass dome in the lobby and a restaurant bar. Inkaterra Reserva Amazonica. 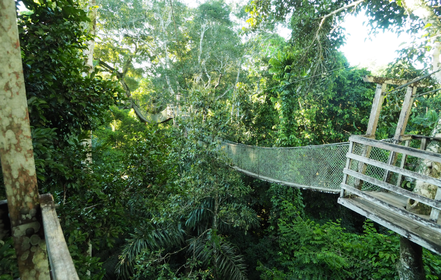 An eco-lodge inside the Tambopata National Reserve, 15km from Puerto Maldonado (45min. boat ride). They have nice cabañas, a great service and offer cool tours – day and night. Usually you stay there for 3 or 4 nights and have transport, all the meals and guided tours included. You can book it here. Tierra Inka. This hotel is not set at the main plaza but you can easily reach it by walking or a mini-taxi. They are very helpful when you have questions about the Sacred Valley area. You can book it here. There are a lot of restaurants around the main plaza area. Just to name two: Panaka and Inti Killa are nice. They mostly also provide sandwiches for take away. To get used to the altitude Quinoa soups are great. 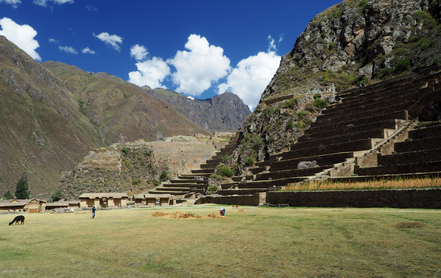 The ruins of Ollantaytambo itself are impressive. 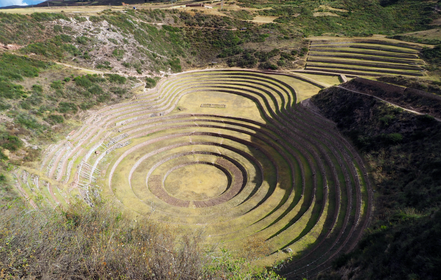 You can buy a Partial Boleto Turistico for the Sacred Valley area that covers Ollantaytambo‘s ruins, the beautiful ruins of Moray, Chinchero and Pisaq during two days. The price for this combo-ticket is 70 Soles (of May 2016). Note: Pisaq e.g. can only be visited with a combo-ticket, there is no single entry ticket. The salt mines of Maras are impressive. They are not included in the ticket and cost 10 Soles. 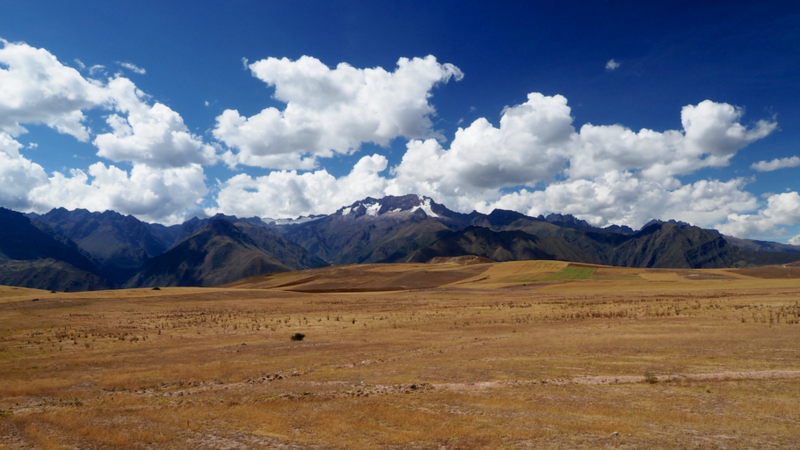 Driving through the Sacred Valley is a great experience, the landscapes are just wonderful. Most taxi drivers will make a stop at one of the many artisanal textile markets at Chinchero, where you get a Muña tea and buy some souvenirs. As the daily tickets are limited to 2500 it makes sense to book them in advance. 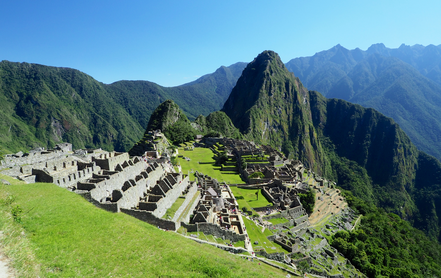 We can recommend Ticket Machu Picchu as their website worked without problems and they accept Paypal payments. 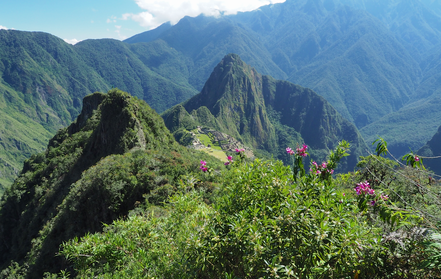 There are combination tickets that allow you to hike Huayna Picchu or Mount MP. Those are also limited per day and have special entrance times. There are two train companies reaching Machu Picchu: Perurail and Incarail. It is wise to book them in advance, too. Incarail has cheaper tickets but only runs from Poroy and Ollantaytambo (recommened). Bus tickets cost 24 USD for getting up to the main entrance and down again. There only is a toilet at the main entrance but you can get out and in with your ticket twice a day. Toilet costs 1 Sol. They have a restaurant at the main entrance but many people bring snacks. For larger luggage there is a storage room. You are allowed to take smaller bags up to 5 kg into the ruins. To visit the ruins it takes around 2-3 hours. The hike of Mount MP can be made in 2.5 hours (up and down). Bring sunscreen, sunglasses, a hat and enough water. Illa Hotel. Hotel with a nice courtyard in the San Blas area. You can book it here. Pachapapa. Grill restaurant with terrace. Toqokachi. The nice owner also makes sandwiches for take away. Carmen Alto 244-A. Trattoria Adriano is close to the main square Plaza de Armas and besides Italian dishes it also offers Peruvian ones, e.g. Criolian soup. Museo Inka. A colourful exhibition about the Incas that children will also find interesting. For example, they exhibit real mummies. 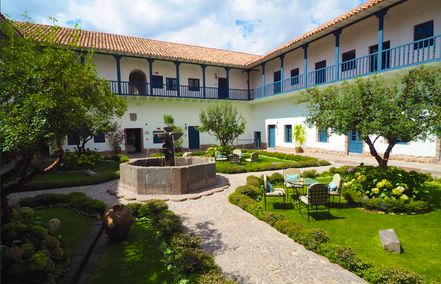 Cusco has a lot of beautiful courtyards. Right at Plazoleto de las Nazarenas Belmond hotels own the Palacio Nazarenas and the Monasterio, which you can visit and have a drink in. Not visited but would go: Saksaywaman. Ruins on the northern outskirts of Cusco with impressive stone blocks and a nice view over the city. 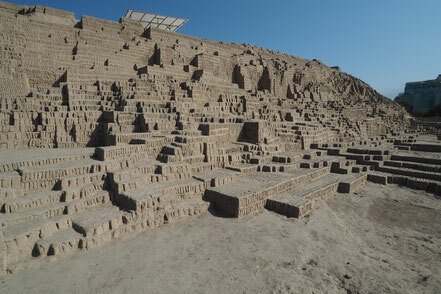 Tierre Viva Puno Plaza is very close to Plaza de Armas and the lively Lima tourist street. You can book it here. Mojsa. Facing Plaza de Armas and serving Cuy (without head). 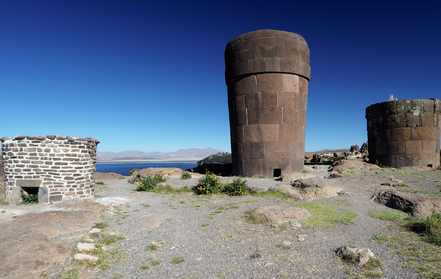 Make a trip to the tower tombs of Sillustani that lie at the beautiful Lake Umayo.